"The Little Church in the Valley"
Are you looking for a simple church? 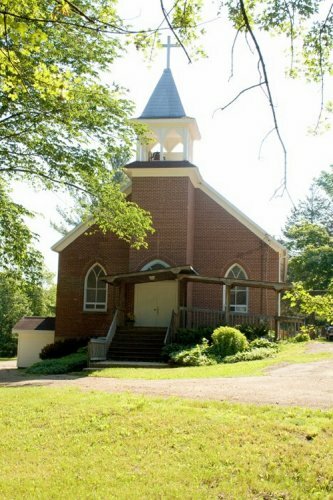 Would you like an old fashioned church in the country? Then Blue River Valley Church just might be the church for you! BRVC is a place where families worship, study, fellowship and minister together. Our worship includes ageless hymns along with wonderful new songs that are being written daily. Along with the singing of praise is our need to hear from God and this is accomplished through the preaching of His Word, the Bible. You are invited to come and share with us. If you have any questions please feel free to contact us through this site. We hope to meet you soon! these immigrants are still heard in southwestern Wisconsin. If you have a prayer request, please fill in the form below and submit it.